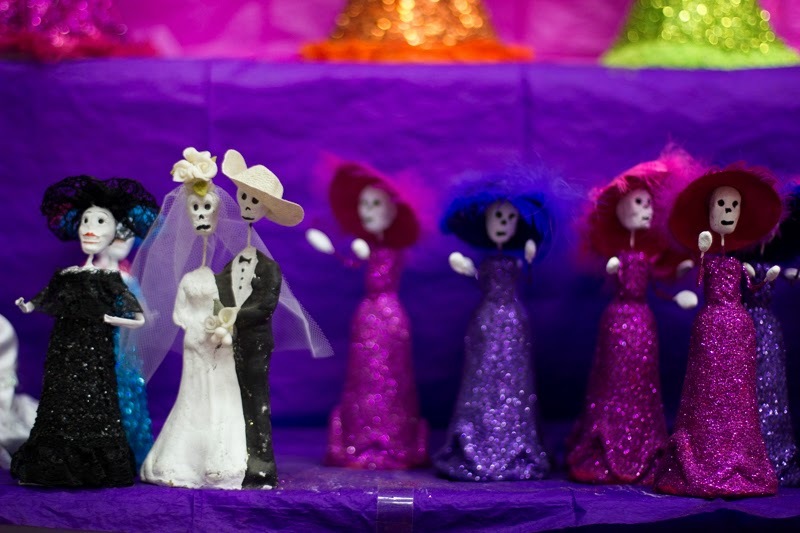 This weekend it was dia de los muertos, the day of the dead. 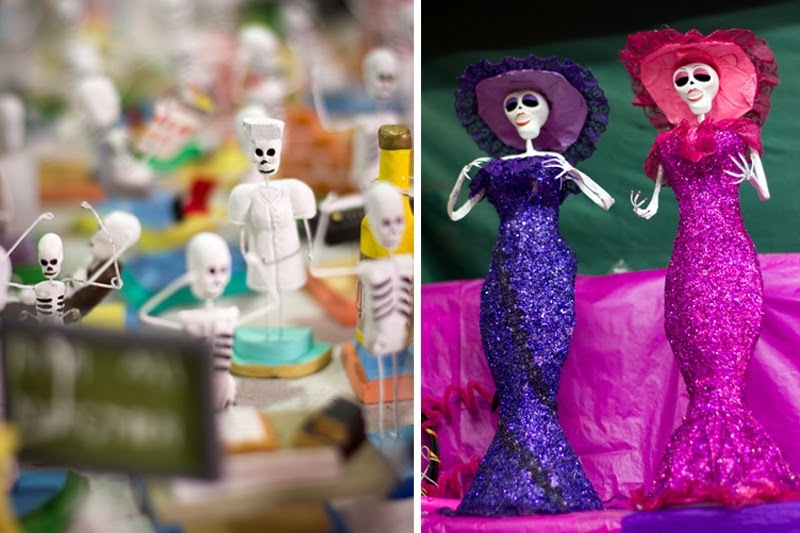 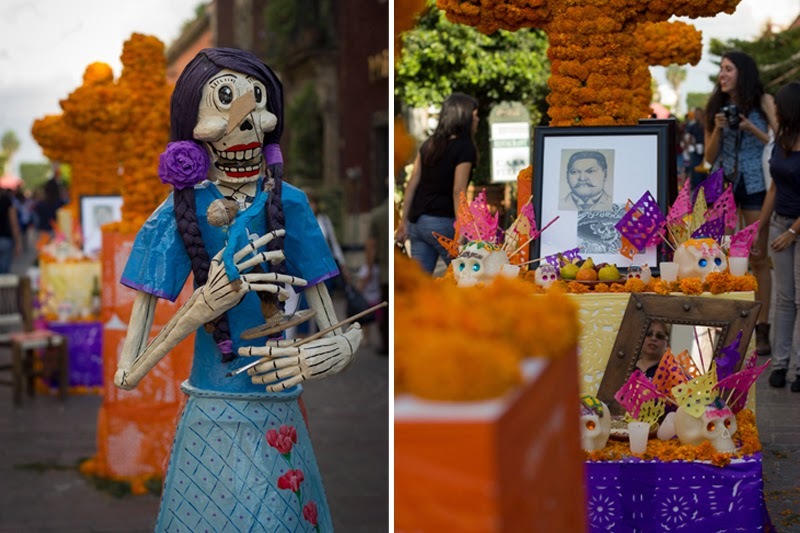 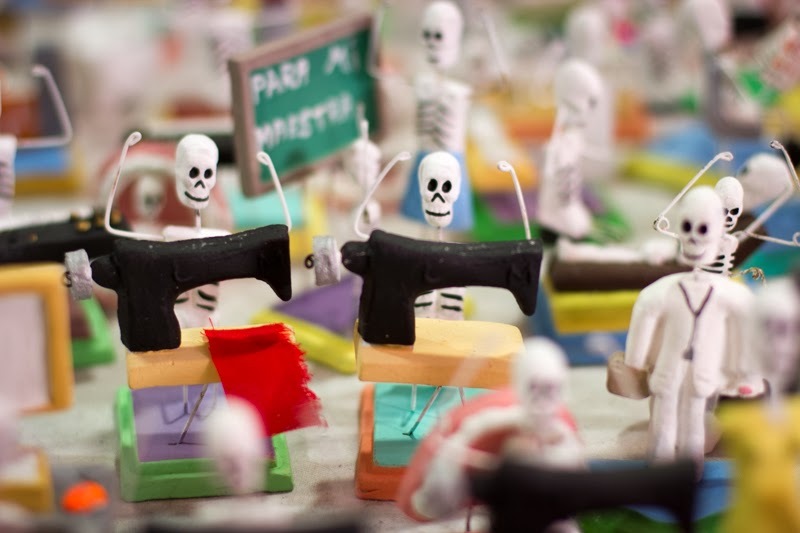 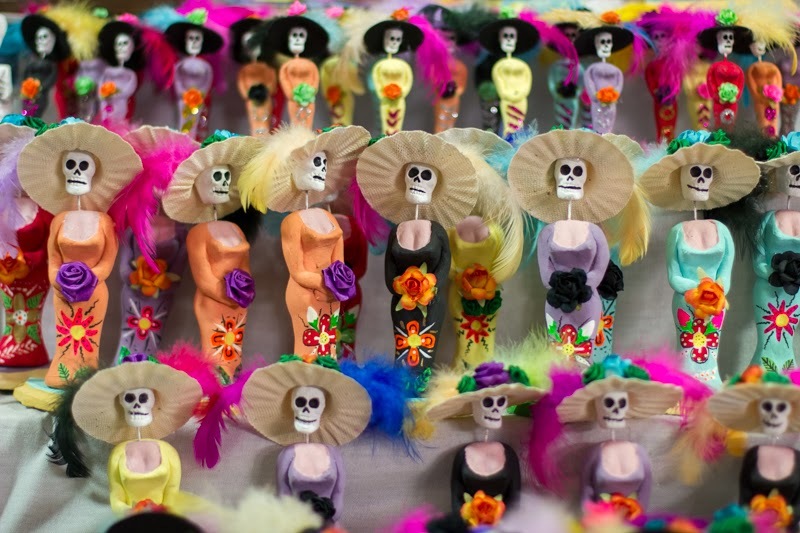 It's the day when the mexicans honors and celebrates their dead family members and friends. 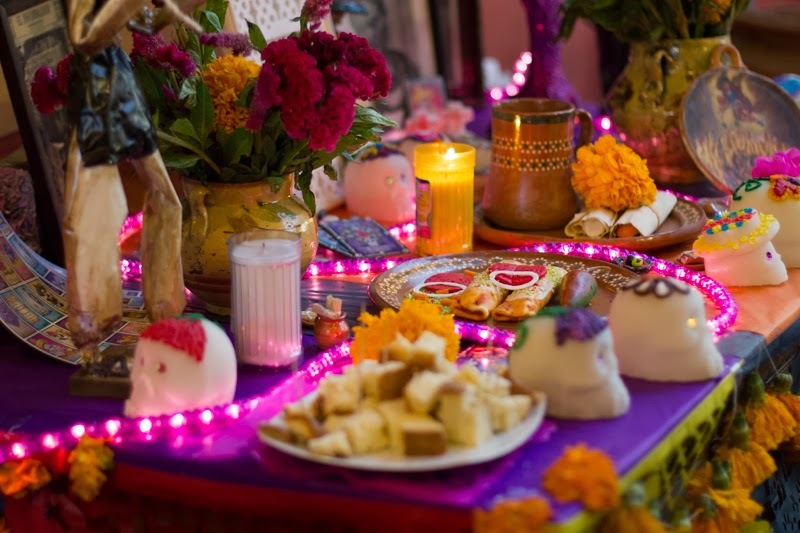 It's a tradition to make an altar in purple and orange colors decorated with food, things they liked and skeletons to commemorate them. 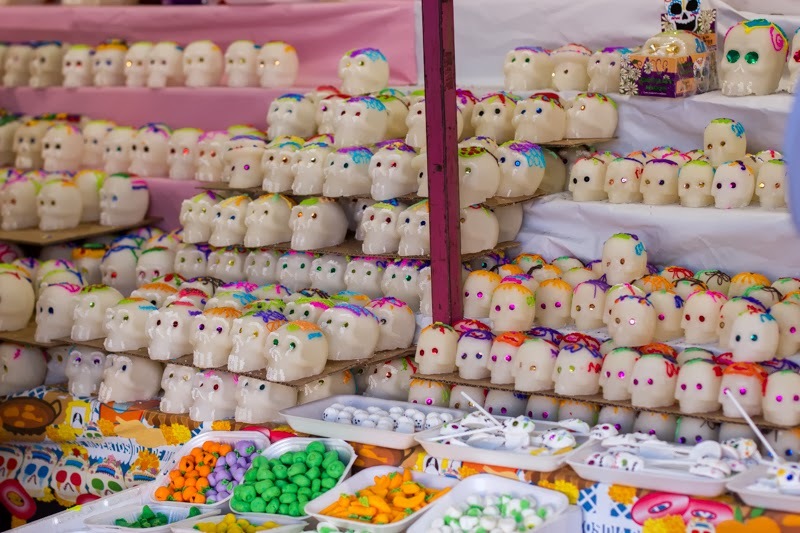 Earlier this week we went to Parque Morelos where they use to put up a market every year were they sell decoration for the altars. 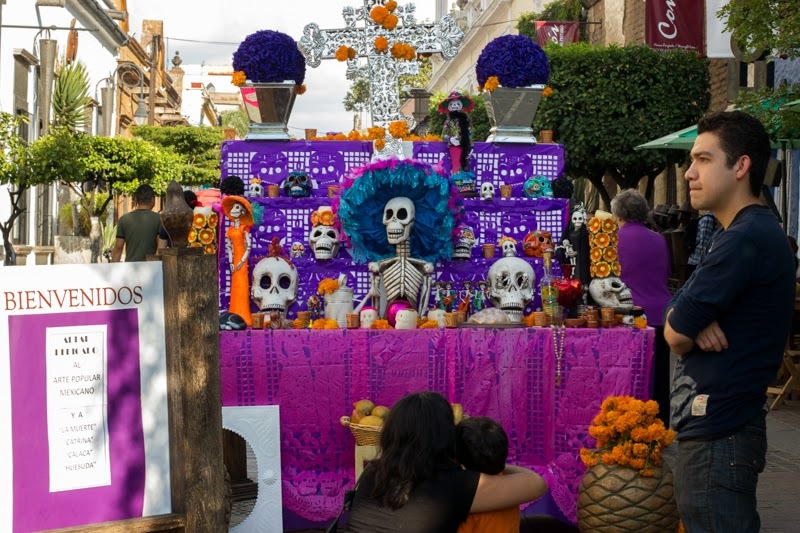 On the weekend we went to Panteon de Belen, which is the oldest cemetery in Guadalajara, famous for it's spooky legends, on a day tour (they say the night tour is a spectacular during these days but we didn't feel like standing in a line in the sun for 6 hours to get tickets so we took the day tour). 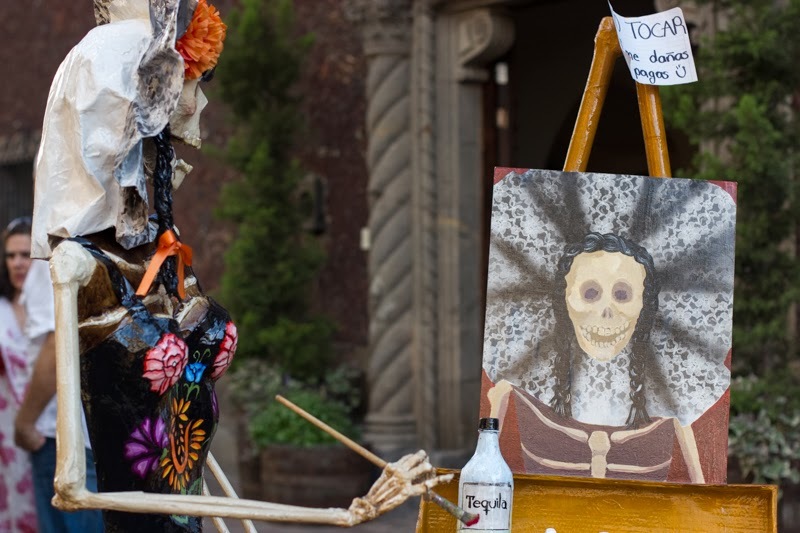 Instead in the evening we went to Tlaquepaque where they had an altar exhibition and other events related to day of the dead. 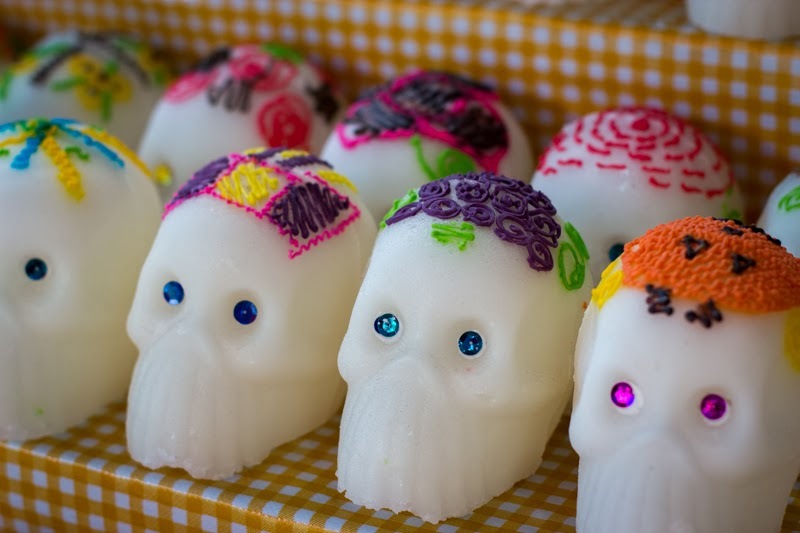 Traditional skulls made of sugar makes part of the decoration on the altar. 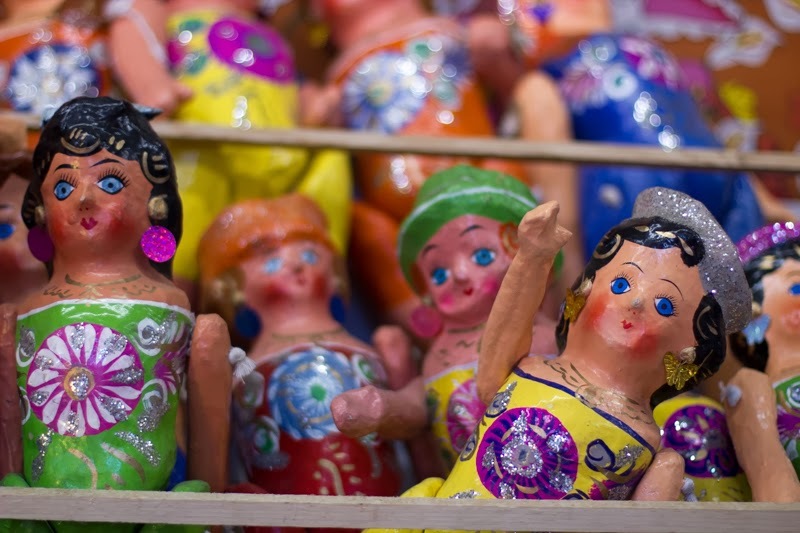 Small Catrinas as they are called on a market in Parque Morelos. 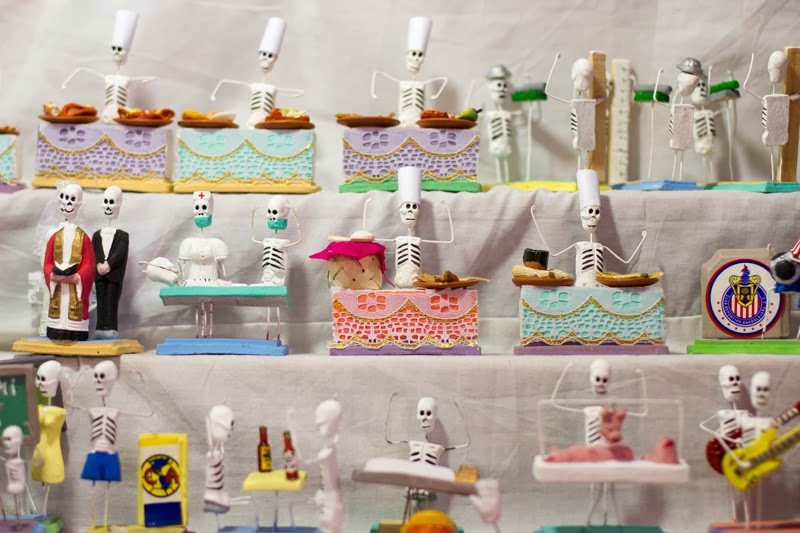 Skeletons doing their daily activities :). 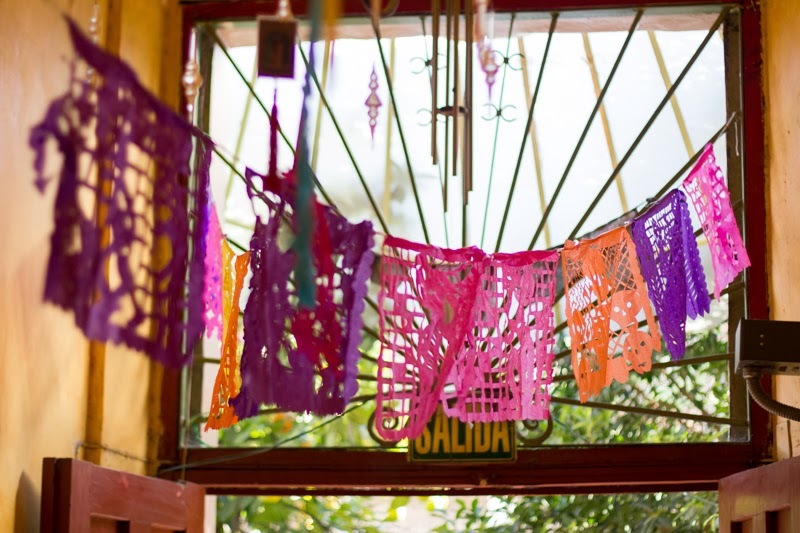 You could find all kinds of professions such as nurses, chefs, dentists, guitarists and so on.. 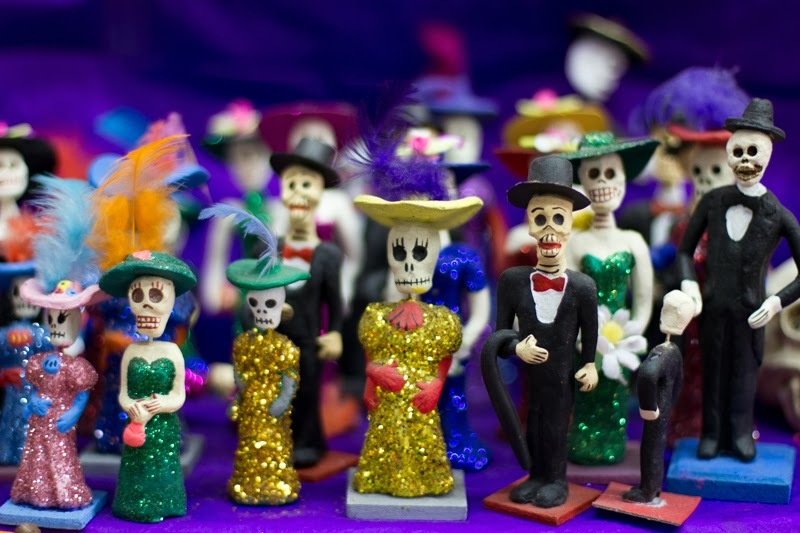 Traditional dolls made of papier mache. 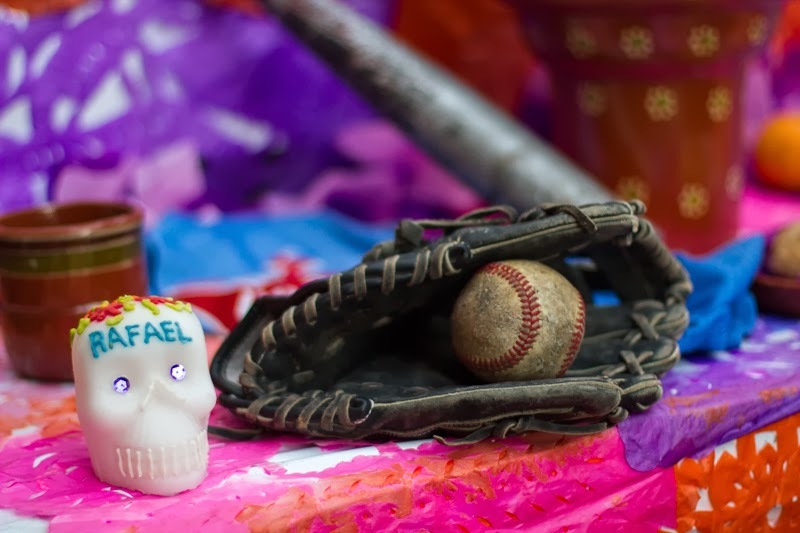 I think Rafael liked baseball when he was alive.